Why is Sales and Marketing so Difficult Nowadays? Cold calling is dead. Direct mail is a distant memory. Email blasts more likely end up in bit-purgatory than the inbox. Keyword stuffing and link wheels get you blacklisted with Google. Every marketing gimmick that once worked to disrupt a prospective buyer and grab their attention doesn’t. The Internet has changed the world from one where information was scarce to one where there is an overabundance of it. This change has had a significant impact on the buying process. Now, buyers are doing their own research and ignoring incoming messages. The Internet and the proliferation of smart phones have fueled the rapid shift away from personal contact, to digital interactions. This change in communication style has tilted the control of the sales process from the sales person to the buyer, who now decides whom they speak to, when. A recent study shows, business buyers do not contact suppliers directly until they have completed 57% of the buying process. This percentage is forecasted to increase to 85% by 2020 according to Gartner Research. The job of a sales person has become harder as well. 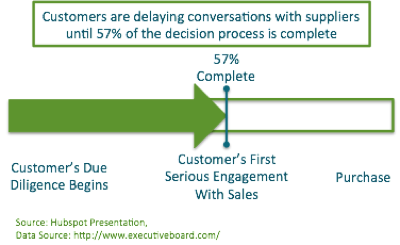 The average sales cycle has increased 22% because more decision makers are involved in the buying process. To counter this trend, companies must invest in programs that increase the quality and buying readiness of leads. Unfortunately, many companies competing in the B2B space are still using old-school disruptive lead generation techniques. Some still believe that their sales force has to speak to prospects to educate them, while others still use disruptive marketing, like email blasts, cold calling, and telemarketing to reach their prospects. All of these methods assume that the buying process still revolves around companies targeting and interrupting prospects who may not even be interested in buying. Prospects have the tools and desire to hide from even the most determined target marketing and sales schemes. How are marketers addressing this change in buyer behavior? Fortunately, today there is a new sales and marketing methodology called Inbound Marketing. The hallmark of this new approach is quality content delivered on your web site that acts as a lead magnet to attract qualified prospects. However, it is not that simple because the content must be delivered at just the right time during the Buyer’s Journey for information. Automation is also a necessary component to implement this approach effectively and ensure the buyer is nurtured throughout their journey. What are the stages the modern buyer traverses to research products? Inbound Marketing requires a significant investment in content. To create the right content, it is critical to understand the stages of the modern Buyer’s Journey. This graphic shows these buyer's journey stages and examples of the types of content that are most often used to satisfy the information need. Of course, this is not a complete list, but I think you get the idea. In the past, sales people nurtured the prospect through this journey in person, easily providing the correct information at the appropriate time. Today, companies interact with the buyer digitally through their web site in order to deliver the information the buyer wants when they need it. What content is required to satisfy the buyer at each stage of their journey? The best strategy to build trust with the buyer is to enable them to research their problem and your products on-line. As the customer learns about both, you gain their trust and they build an affinity with your brand. It is important to provide the appropriate information for each stage in the Buyers Journey. For example, if the buyer has not yet identified the causes of their problem, then they are not ready to hear about the benefits of your solution. By knowing which content the user downloads, you know their “Buyer’s Journey Stage”. Marketers can use these behavioral queues to implement an automation framework to deliver the appropriate content to the buyer twenty four hours a day, seven days per week, 52 weeks per year. What type of automation is needed to systematically nurture buyers through the three journey stages? Since the buyer is thirsty for information, but only on their timetable, automation is needed to sequence delivery of the content. This sequence should provide the digital content that satisfies their current quest for information, while teasing them with the next Buyer’s Stage material. Inbound marketing enables automated engagement with buyers throughout the sales process, powered by the right content at the right time. Once the buyer bites on “next stage” content, their journey status shifts to the new stage. Automation continually drips new content to the buyer for each stage in turn, until they are ready to engage with the sales channel. Marketer's need automation tools that track each individual's consumption of content, classification of which buyer's journey stage each piece of content relates to and workflows that automate the delivery of new content to the buyer. This diagram is a level-1 experience funnel which shows content at each stage of the buyer's journey with the appropriate nurturing automation to attract the buyer to the next stage of the buyer's journey. What are the benefits of implementing an Inbound Marketing program? Inbound Marketing enables your company to implement sales and marketing programs that engage the buyer while automating your sales and marketing best practices. You gain an infinitely scalable sales and marketing resource that has access to your prospects and works on your behalf 24 hours per day, 7 days per week. 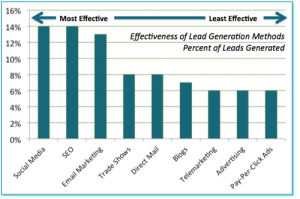 Inbound Marketing generates leads at 61% lower cost per lead than outbound “interruption” methods. Inbound marketing delivers 54% more leads into the top of the marketing funnel than traditional outbound marketing. 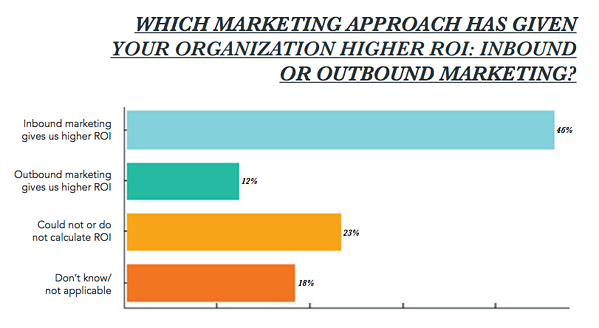 45% of B2B companies have implemented Inbound Marketing in 2013. Most are increasing Inbound Marketing budgets for 2014. Companies that excel at nurturing leads through the Buyer’s Journey generate 50% more sales ready leads at 33% lower cost. According to the State of Inbound 2017, the respondents to the survey that have measured marketing ROI say that Inbound Marketing produces a higher ROI versus outbound marketing methods. An inbound marketing program generates qualified leads that have diagnosed their problem, researched solutions, and are ready to speak to your sales person. Map out the steps your sales team takes when engaging with the buyer including common questions that prospects ask early in the sales process and objections handling techniques that sales teams use to address push-backs – this drives your initial content. Establish a content strategy that includes informational premium offers (white papers, eBooks, Blog posts, video, etc.) for each Buyer’s Journey stage based on the information you learned when identifying the sales process steps. Research the search terms your buyers use to find solutions to their problems – this serves as input to your keyword SEO strategy. Keep in mind that some keywords are very competitive so be sure to select keywords that align with your buyer's needs and have a reasonable search volume. Implement a company Blog to create a dialog with the buyers – this helps improve your SEO rank for your target keywords and is an important tool when developing topic clusters that significantly help build organic traffic. Participate in social media, specifically the channels that your buyers use – likes and comments improve SEO rank, organic search results and web traffic. Be sure to engage like a human because automatically posted content turns off prospects. Engage in forums and on-line communities to improve your web authority and generate inbound links – this improves web site traffic and page rank. Consider implementing a chat bot on your website to enable sales and marketing to speak with prospects when they are on your website. Implement a marketing automation tools – this capability automates lead nurturing of the buyer through their journey for information and improves the engagement of each prospect. What's more, your team can measure the engagement of each prospect while understanding their interests and behavioral cues. Test the results of your content and nurturing automation – this data enables you to continually improve the conversion rate and quality of your leads. Testing of conversion paths and digital marketing pipelines can have a significant impact in the number of leads a company gains. A clear understanding of the best target customer for your product and an understanding of their persona. A buyer persona project will help you to understand the buyer. Marketing automation “engine” that is integrated with your web site that seamlessly engages with your target buyer through dripping the right content at the right time. Social media push and scheduling tool that enables you to execute a consistent and predictable social dialog with your target buyer and provides analytics while monitoring engagement. Big Data analytics that identifies the trending topics in social media and discovers the influential voices in your market so you can capture and leverage that influence for your benefit. 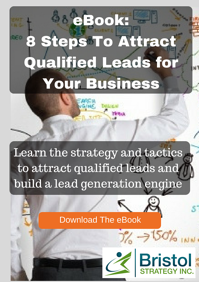 Analysis of the results of each and every element of your Inbound Marketing program so you use the information to fine-tune your lead generation engine. A team and/or external resource that has the technical and product knowledge to create premium content that sets your company apart from your competitors. What is the process that Bristol Strategy uses to help companies implement Inbound Marketing? We start by understanding your sales and marketing strategy. We use that information to develop a content strategy. Using your custom Content strategy, we establish a set of actions for each target customer type and implement an inbound marketing lead generation engine that will deliver qualified leads for your sales team and channel. Download a free copy of the Content Strategy data sheet, read our blog or request a call to learn more.